Next weekends Market on April 1 is not to be missed! Not only will we be launching our first online Food Assembly market, we’ll also be celebrating local businesses and tourism as part of English Tourism Week from 10.30 – 12.30. Our wood turner & carpenter will be showcasing their craft with carving and woodworking demonstrations throughout the day. Alongside this, we will be having plenty of tasters and cooking demonstrations using the best of our stallholders produce. There will also be interactive games to keep the kids occupied (or for any of you that are feeling young at heart!). Due to the large variety of delicious produce we need to add to the online shop, we have also postponed the launch of the new online food assembly to coincide with the events of English Tourism Week. So, keep your eyes peeled for updates on the exciting new developments, that are helping get our great British produce, out to the great British public. 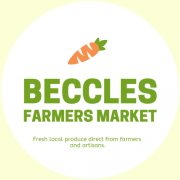 If you are a local business, producer or tourist attraction and you would like to get involved, feel free to contact becclesfarmersmarket@gmail.com.